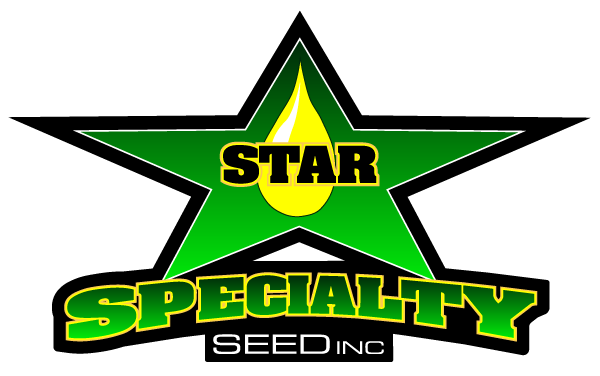 Newest Variety: STAR 930W was recently added to the Star lineup. 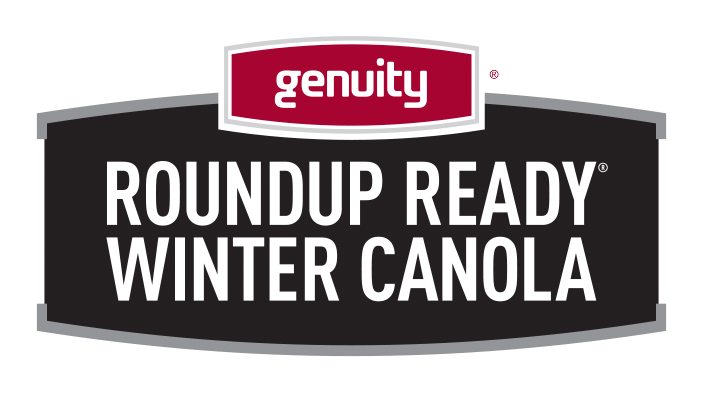 Offering among the best winter hardiness and survival in the industry, winter canola can now be successfully grown further north in Kansas and Nebraska. This variety has delivered excellent yield performance across the winter canola growing regions in university trials the past two years. 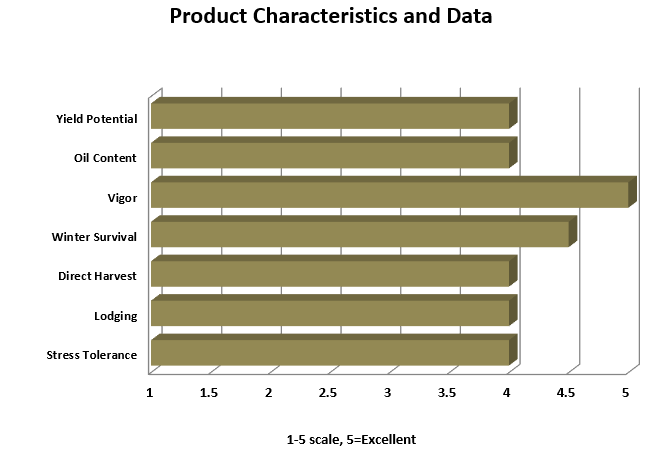 The Roundup Ready only herbicide trait package is included in this variety. NEW Winter Canola Seed Variety 2019! Very Good Yield Potential across a variety of winter canola growing regions. Excellent winter hardiness; among the best available within commercial varieties. Uniform emergence and excellent stand establishment in the fall. 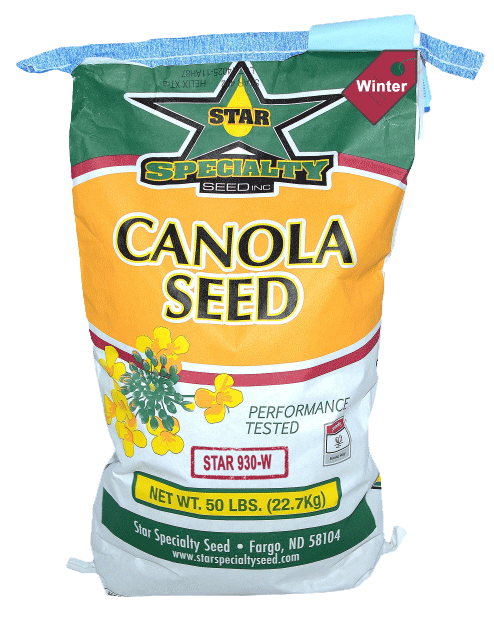 STAR 915W is an early to mid-maturing SURT® winter canola variety (tolerant to long-residual Sulfonylurea Herbicide and Roundup Ready®). Well adapted to Oklahoma and Texas canola growing regions, Star 915W is also a strong performer in the Pacific Northwest, where growers need added weed control in their crop rotation. The seed is treated Helix Xtra Vibrance seed treatment for added protection against seedling diseases including seed borne blackleg, pythium, rhizoctinia and insect protection against flea beetle and aphids and other early season insects. Like winter wheat, winter canola is planted in late summer or early fall. The crop establishes a stand and root system during the fall and goes thru vernalization during the winter months. Once early spring conditions come, the crop will green up and produce seed as the season progresses. Currently the areas growing winter canola in the US include Oklahoma, Kansas, Texas and the Pacific Northwest. Other states across the southern and eastern US also have small acreage planted to winter canola. Winter hardiness is an extremely important factor in allowing this crop to move further north. Growers planting winter canola for the first time are advised to check winter hardiness ratings closely. High yielding RR winter canola.